Palestinian prisoners’ affairs institutions – the Palestinian Prisoners’ Society, Addameer Prisoner Support and Human Rights Association and Al-Mezan Center for Human Rights – issued the following report on 1 January 2017, summarizing the statistics related to Palestinian prisoners over the year 2016. During 2016, the Israeli occupation arrested 6,440 Palestinians in 2016, including 1332 children and 164 women. At the end of the year, the number of Palestinian prisoners has reached approximately 7,000, including around 300 minor children, 53 women (among them 11 minor girls), 700 administrative detainees and 22 journalists. Young people were among those most vulnerable to arrest campaigns carried out by the Israeli army during the year on a daily basis. Another significant targeted sector are former prisoners subjected to re-arrest after their release, following months or years in Israeli prisons. The organizations also reviewed the overall number of arrests, in addition to the number of arrests of children, women and girls over the year. The month of March saw the highest number of arrests, in which 647 Palestinians were arrested. In February, the highest number of children, 140, were arrested; in the month of April, there was the highest number of arrests of women and girls, when 24 were arrested. Throughout 2016, the occupation issued 1,742 administrative detention orders, including 635 new orders and new and renewal orders against 20 children, three women, five members of the Palestinian Legislative Council, and nine journalists. During the year 2016, nearly 40 administrative detention orders were issued against Jerusalemite prisoners with the “blue identity cards” or residence documents. Like Palestinians in occupied Palestine ’48, these administrative detention orders are signed by the Israeli Defense Minister, because the areas of Jerusalem and occupied Palestine ’48 are subject to Israeli civil law and not the military orders over the West Bank. The majority of administrative detention orders were issued against young people, including those who do not belong to the factions or student blocs. International humanitarian and human rights norms stipulate that imprisoning people without charge or trial within a reasonable period of time is a serious violation of the right to protection from arbitrary arrest and that people who are victims of unlawful arrest or detention have a right to compensation. Israeli occupation authorities have continued to arrest Palestinian children with all methods, including extrajudicial field executions, which were carried out against dozens of children. During 2016, the number of injured children increased, especially those shot by occupation forces prior to their imprisonment. These injuries have caused permanent physical disabilities, including in the case of Jalal Sharawna, arrested in 2015 after being shot and whose foot was amputated in 2016, and in the case of the child Osama Zaidat from the town of Bani Naim in al-Khalil area. There were 1332 arrests of children, and there are currently 300 Palestinian children in Israeli jails, including 11 minor girls. The highest percentage of children were detained in Jerusalem. Children under ten have been detained in Jerusalem and subjected to interrogation. Most of the children who were arrested were either former detainees ordered to prison or were held in home imprisonment, which has caused damage to the education of children in Jerusalem. Many of those arrested lost most of or the entire school year, not to mention the damaging effects on their families. In its treatment of children, Israel has violated international human rights law and international humanitarian law as an occupying power, including the Convention on the Rights of the Child. There are currently six members of the Palestinian Legislative Council in Israeli prisons, including Marwan Barghouthi, imprisoned since 2002 and sentenced to five life sentences; Ahmad Sa’adat, imprisoned since 2006 and sentenced to 30 years in prison; and Hassan Yousef, in administrative detention since October 2015. During 2016, the occupation arrested a number of PLC members and held them mostly in administrative detention, including Mohammed Jamal Natsheh, Azzam Salhab, Hatem Kufaisheh and Abdel Jaber Fuquha. Mohammed Abu Teir was sentenced to 17 months in Israeli prison. During the year, Hatem Kufaisheh and Abdel Jaber Fuquha were released. Hunger strikes did not stop in the prisons of the occupation during 2016 and continued to be one of the most prominent tools of struggle and confrontation of the occupation, especially around the issue of administrative detention which has been the primary focus of the hunger strikes. 64 prisoners conducted hunger strikes in 2016, including 37 against administrative detention, alongside the escalation of the use of administrative detention itself. This comes in addition to the issuance of detention orders against prisoners who had completed their sentences, must prominently in the case of the prisoner Bilal Kayed, as well as other re-arrested prisoners ordered to administrative detention within days of their release. This is a means of psychological torture of prisoners and alongside other issues, such as solitary confinement, ill-treatment, transfers, torture and denial of family visits, sparked the repeated hunger strikes. 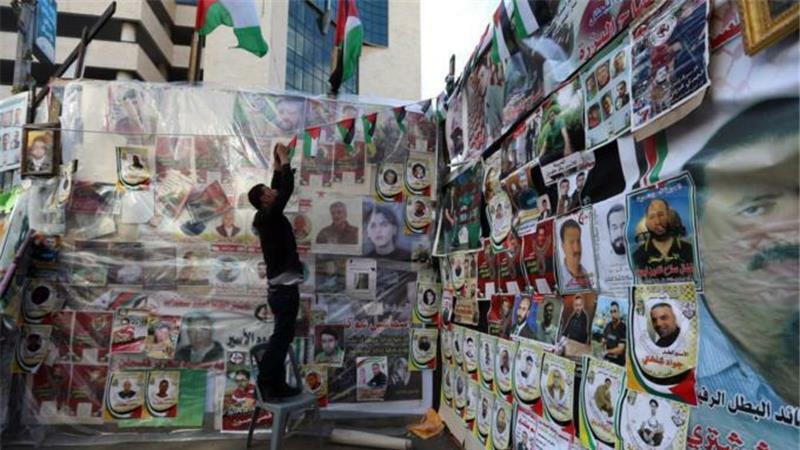 The hunger strikes have been a prominent issue on the Palestinian and international issue since 2012, which launched a wave of strikes that continues to the present day. Occupation authorities continue to detain 29 prisoners arrested before the Oslo agreement in 1993, including nine prisoners who have spent over 30 years in Israeli prisons, the longest being Karim and Maher Younis, imprisoned since 1983 and refused release by the occupation authorities in March 2014 with the denial of the release of the fourth installment of pre-Oslo prisoners that were taking place as part of negotiations. Over the years, they have lost dozens of family members without being able to say goodbye. 42 prisoners have also spent over 20 years in Israeli jails. The Israeli prison administration and the Shabak intelligence service have pursued the use of solitary confinement under the pretexts of “threat to state security” and “secret files” against the prisoners, without limitation or justification for this alleged danger except in the broadest of strokes, including references to preventing escape, stopping operations outside the prisons, or preventing friction with other prisoners. The Prison Service issues isolation orders which can be extended every six months, with the decision based on secret evidence not revealed to either the prisoner or their lawyer. During the year 2016, 20 prisoners were subject to isolation for varying periods, including prisoners held in isolation since 2013. To the end of December 2016, 10 prisoners continue to be held in isolation. Isolation is a form of psychological torture and creates physical and psychological illness among prisoners that is difficult to treat after an end to solitary confinement. The issue of re-arrested released prisoners of the “Shalit deal” remains at a standstill, as occupation authorities continue to hold them and re-impose their former sentences. Nael Barghouthi is perhaps the most prominent of these cases; he was scheduled to be freed this year, before the so-called military objections committee stated that it will hear an appeal on behalf of the occupation prosecution against the previous decision in his case to jail him for 30 months. At present, his future remains unknown. He has spent a total of 36 years in Israeli prisons, the longest period of detention among all Palestinian prisoners. There are approximately 56 prisoners released in the “Shalit deal” in Israeli jails, out of 70 of these released prisoners arrested during the past three years. The most prominent arrest campaigns were carried out against them in June 2014. The military committee that has reviewed these cases has repeatedly issued decisions to re-impose their former sentences against 50 prisoners, the vast majority of those detained, under the pretext of “secret evidence.” This is considered a breach of the terms of the agreement, which was carried out in two stages in 2011. The prisoner Yasser Hamdouna died on 25 September 2016 in the Soroka Israeli hospital after a massive heart attack in Ramon prison, bringing the total number of martyrs of the prisoners’ movement to 208, of which more than 50 have died directly attributable to medical negligence. Hamdouna had been imprisoned since 19 June 2003. The results of his autopsy revealed that his death was due to hypertrophy of the heart muscle and that Hamdouna had been the subject of systematic medical neglect, as he did not receive necessary treatment nor was he given therapeutic or preventative medicine. Hamdouna was beaten in 2003 by the Nachson suppressive forces inside the prisons, which had earlier caused chronic health problems in his left ear. He had ongoing heart problems and shortness of breath. He was subject to medical neglect and delay in the provision of treatment and was taken on several occasions to Ramle prison clinic but not provided treatment. Hamdouna had cardiac catheterization in the Afula Israeli hospital in February 2015, but was not provided follow-up treatment and examination. There are over 700 sick prisoners, including 21 held in the Ramle prison chinic. In 2016, there were also a number of severely wounded Palestinian prisoners. ** Translation was produced by Samidoun Palestinian Prisoner Solidarity Network.